Hello, My Name is Moose! Moose is a perfect name for this strong, stocky and muscular boy. 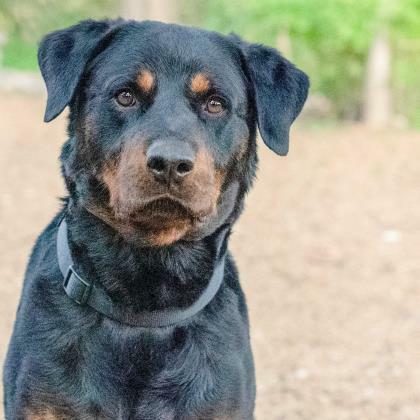 A handsome young lad, Moose is looking for a home with an experienced owner willing to provide ongoing socialization, training and supervision to make him the best dog he can be. Moose will benefit from regular exercise and daily mental stimulation - he already knows sit! 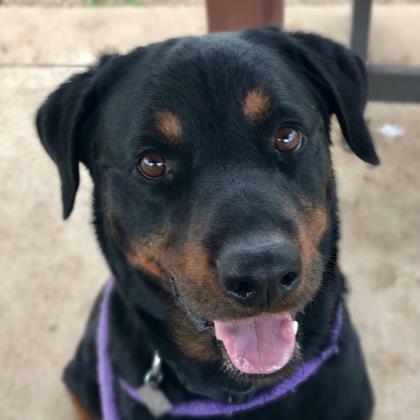 Like many Rottweilers, Moose prefers privacy while dining and may best in a home with older children due to his size and strength. 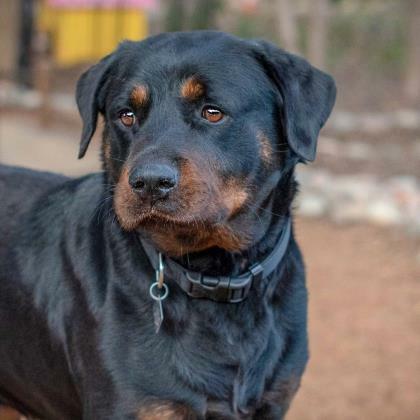 **Moose's adoption includes a scholarship pairing his new pet parents with a certified trainer to make his transition into home life as smooth as possible.